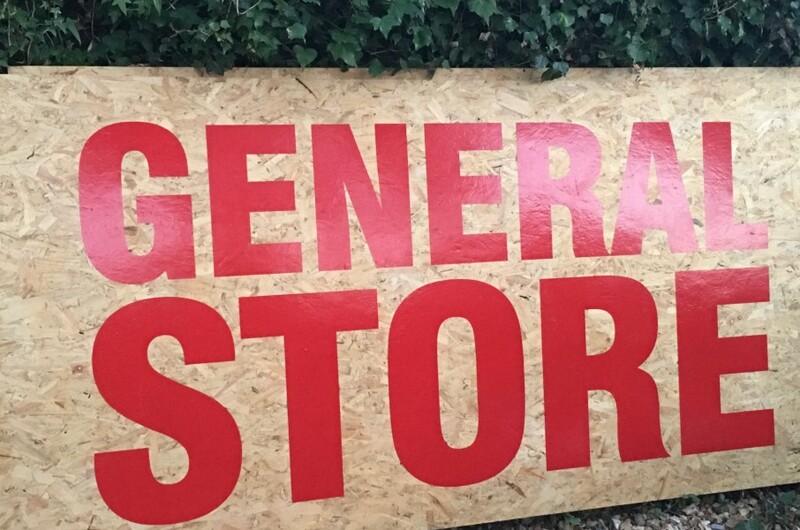 The General Store for all your Camp Bestival needs and more! From milk and bread to blankets for your bed. Batteries, spare tent pegs, ice by the bag, sweets, biscuits, coffee and tea, for all you've forgotten roll up and see. The General Store in the Magic Meadow and in Camping Plus will supply all you needs for children and grown-ups alike - from baby products, food, wipes, toothpaste, nappies - sold in singles for that emergency! - to water, juice cartons, fizzy drinks, water, sun cream, rennies, frisbees, glowing umbrellas, health food bars, guarana, organic crisps, green and blacks chocolate, rizla and all other essentials! We stock local fresh produce as well for your BBQ - fresh local bacon, milk, sausages, bread and tomatoes, and locally made jams, biscuits and fudge. Full of all the usual festival general store essentials - with some very Camp Bestival variations The General Store promises everything you need and more - especially Dorset fudge.